My mom will never forget the moment when I let someone into the house when I was home alone. And the dog had to answer the doorbell. … I broke all the rules. 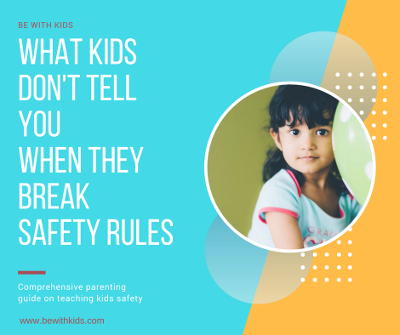 The truth is: most parents don’t teach kids safety until something happens, or they don’t teach it correctly. Make sure your kids know and understand the rules about how to be safe with strangers. Now read on to see what happened to me below. I was not an idiot. 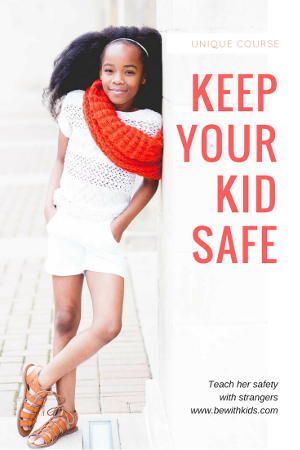 How can we raise a compassionate child without sacrificing her safety? How can we teach her the difference between the legitimate requests in which we should be caring towards those people who need help, and avoid those with malicious intents? How can my child give help safely or reject gracefully without feeling bad or guilty? 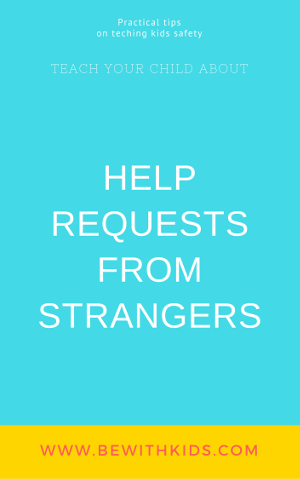 What if my child responds to a stranger request in an inappropriate manner? What if my teaching falls short and he doesn’t recognize he is in danger? What if I’m not teaching enough and something happens and she’s not prepared? I felt anxious that I was lagging teaching my son safety. (You can test your child's safety level here). I felt guilty something would happen that I could have prevented if I paid attention to teaching him safety. I had a piano. A huge, glossy black instrument had arrived the day before and was sitting in my room unwrapped. Such a bummer – I couldn’t play. The sound was discordant – it needed tuning. Mom said someone from the music company would come in the evening to adjust the strings. What? I had to wait another day? I was back home from school doing my homework. The doorbell rang, the dog was barking. “This is not my mom – mom has a key,” I thought. One more persistent doorbell buzzed, and one more. “Who is so annoying? The sales people usually try one time and leave. I tiptoed to the door and peeked into the peephole. Apparently, my dog and I made enough noise for the man to know someone was home. -“Hey, I came to tune your piano. I was driving by and realized I was close to your house, so I decided to try to come earlier”. -“Mom said not to open the door to the strangers,” I thought hesitantly, but didn’t say a word. - “Why should I trust you?” I still thought, hanging around the door. - “Okay, he knows I have a piano, he has tools and it feels like he needs HELP,” I concluded. In my mind, his reasoning totally made sense. The surprising thing was how much fun it was to watch him working. He took all his screwdrivers, wrenches and millet out. - “Would you like to come over and see what’s inside of your piano?” he asked. I came closer and touched the strings. The smell of machine oil and wood was tickling my nose. And the sound! Now the sound was bold and proud. The heavy keys were pleasant, thrilling, and exciting to push. Was my parents’ response to the situation. I felt I behaved like a “big girl” capable of making her own decisions before I told the story to my mom. Her face went pale as a ghost, and she almost fainted. - “Are you okay, darling? He did not do anything bad to you, did he?” she asked. - “Oh, no. It was fun – he showed me what’s inside the piano, played a song and left”, I replied. We had a lengthy conversation that evening. 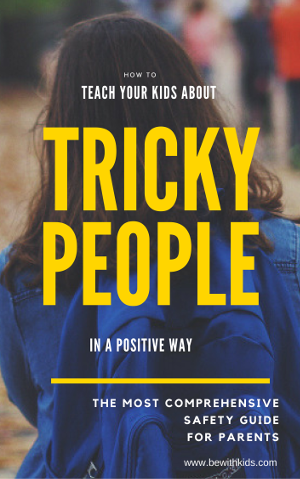 I learned there were bad people who could trick kids. That adults were not supposed to ask kids for help and should have called the parents. And that weird strangers can look nice. Looking back, I cannot believe I had zero hesitance to strangers. Neither could my parents imagine such a scenario. I was taught the rule not to open the door. But I did not understand the consequences of breaking it. How many times do we teach our kids some rules without explaining why. And without reasoning of what happens if you break the rules?